Teaspoons There are 5 products. is used in many different ways, measuring of volume, serving tea and coffee and more. 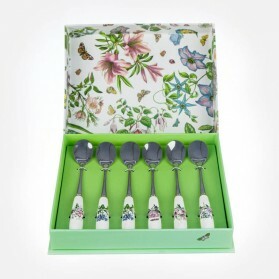 Teaspoons with longer handles are commonly used for ice cream desserts or floats. 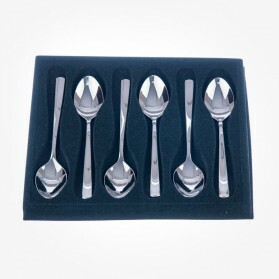 Teaspoons with middle-sized handles sometimes called tablespoon or dessert spoons are generally used in eating desserts and sometimes soup or cereals. Coffee spoon is less common and is used for coffee or tea, which have shorter handles. 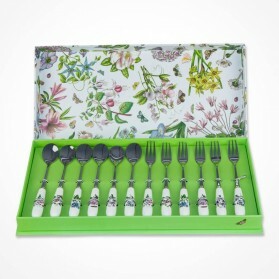 Chloris Tableware offers various Teaspoon with beautifully decorated handles made of bone china or with normal stainless steel. 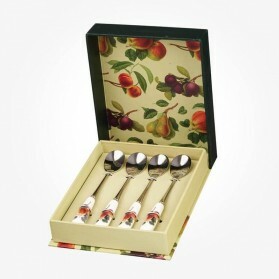 The Teaspoon set in the great looking hard board box is recommended for a small gift at an affordable expense. 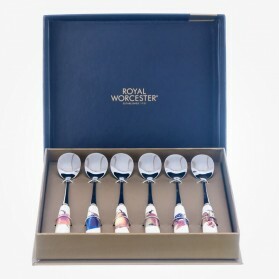 We stock various teaspoons from Portmeirion, Aynsley who supply typical British design and WMF, V & B who do more for contemporary design.